your product really rocks! I wanted to ask you a question about plain text emails. The form i have made I want also be send to my CRM system. The thing is that it can only read really plain text emails. 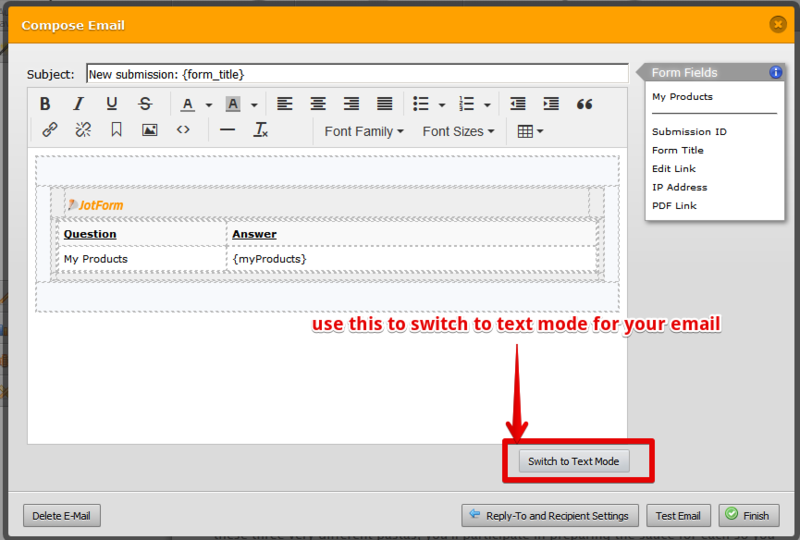 In the settings I made a message with plain text, but when the CRM receives it it won't get the right data out. This seems to be the problem because it did not receive really text email. I hope I described it ok for you? Otherwise let me know. After reviewing your form I notice that your email notification is still in HTML mode. 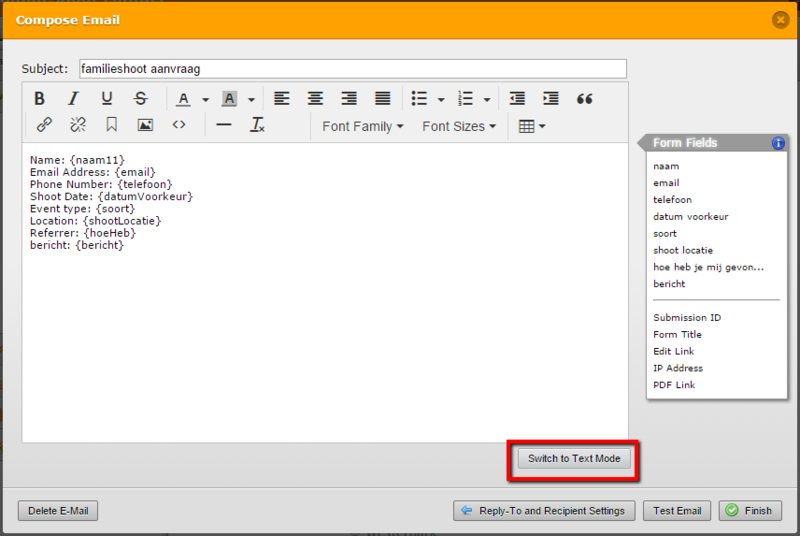 When you switch to TEXT mode, you will notice that the toolbar will disappear. Once you have switch, press the FINISH button, to save the changes. sorry for that. I changed it…. still not working. I will contact CRM software instead. Keep u in touch! Thank you for your update. Could you please indicate the CRM software you are using, so we may test and see how we may best assist you. It looks like we have solved our problems with Shootzilla. Only thing is the date that will not be entered in the CRM. Is there a way to format the Date Field into the email? So use the calendar the regular way and then format the date so the CRM will understand it? Happy to hear you managed to resolve the main CRM issue with the email. It is is only possible to format the date from the form builder, what date format does your CRM recognize? 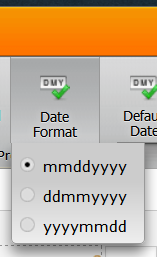 The currently available formats in the standard date picker are the following three.